← A September visit by the little girl with the pink glasses. August 12 was world elephant day and I celebrated by watching a couple of shows on the National Geographic channel. One episode was devoted to their communication skills and another to their memory. OK…hang in there with me you might enjoy this. Elephant skin is over an inch thick. But because it’s loaded with nerve endings, their skin is also highly sensitive. 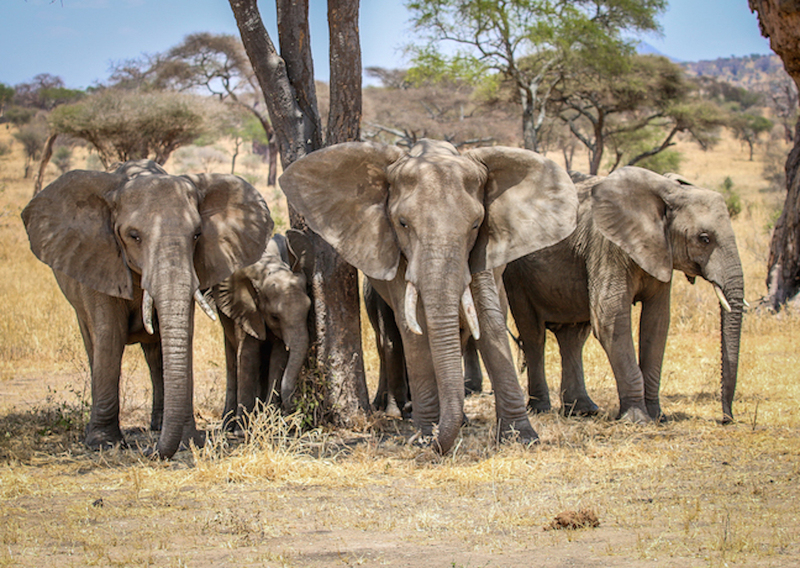 Elephants from the same herd will often use touch to greet each other, either wrapping their trunks around each other or giving each other friendly “hello” taps on the body. In addition to the familiar trumpet blast sound they’re known for, Elephants also purr much like cats do. Research has shown that Elephants communicate over long distances using a sub-sonic rumble that can travel over the ground faster than sound through air. Other Elephants receive these messages through their feet and trunks. Scientists believe that this is how potential mates and social groups communicate with each other. Elephants are highly intelligent animals, and studies have shown that they possess a variety of complex emotions and feelings, including deep compassion and surprising self-awareness. Like humans, elephants have large cortexes in their brains and are not born with survival skills. They have to learn these skills from older elephants in the early years of their lives. 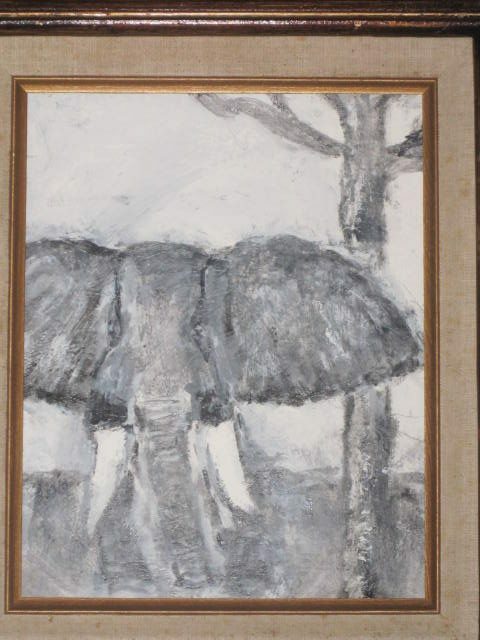 One of the shows featured a man that has devoted his young life to helping to save elephants. 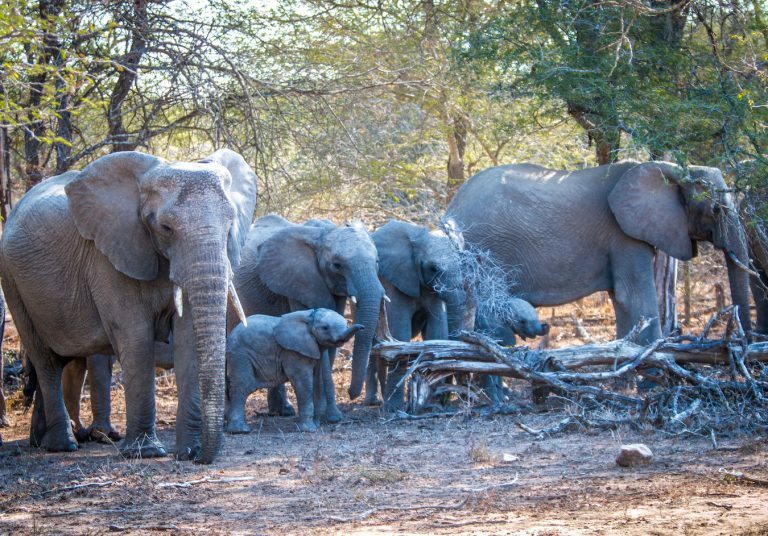 He spent time at Kruger National Park in South Africa and while there he came across a young elephant that had caught a sharp tree limb in his foot. The elephant couldn’t walk and it was obvious that it had not eaten for a while. 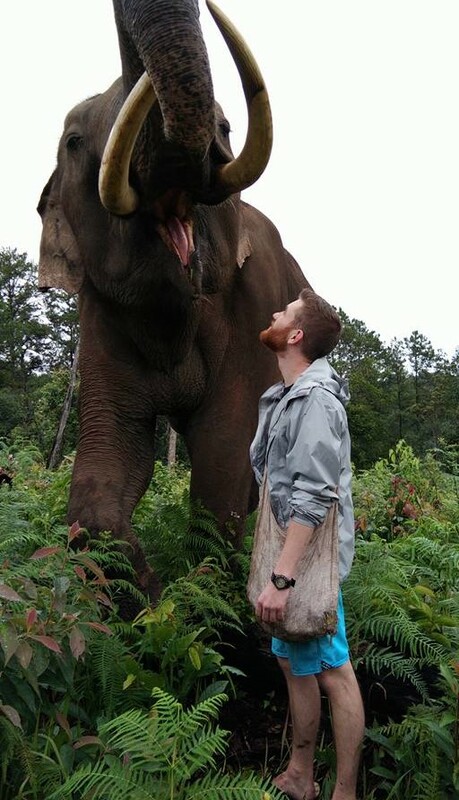 The man carefully approached the elephant and started to pet his trunk and leg. When he felt the animal was comfortable with him he attempted to free him of the stick in his foot. It took him several hours and finally got it out. The elephant immediately stood up and lifted his trunk and gently tapped him on the head and slowly walked away. … and smashed him against the fence and stomped him to death.